Scene text detection and recognition has become a very active research topic in recent several years. It can find many applications in reality ranging from navigation for vision-impaired people to semantic natural scene understanding. 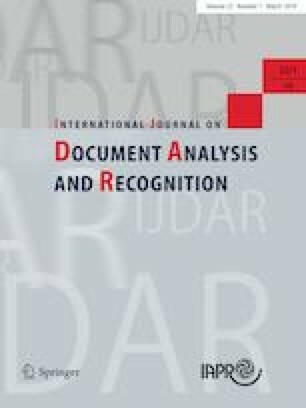 In this survey, we are intended to give a thorough and in-depth reviews on the recent advances on this topic, mainly focusing on the methods that appeared in the past 5 years for text detection and recognition in images and videos, including the recent state-of-the-art techniques on the following three related topics: (1) scene text detection, (2) scene text recognition and (3) end-to-end text recognition system. Compared with the previous survey, this survey pays more attention to the application of deep learning techniques on scene text detection and recognition. We also give a brief introduction of other related works such as script identification, text/non-text classification and text-to-image retrieval. This survey also reviews and summarizes some benchmark datasets that are widely used in the literature. Based on these datasets, performances of state-of-the-art approaches are shown and discussed. Finally, we conclude this survey by pointing out several potential directions on scene text detection and recognition that need to be well explored in the future. This work was supported by the National Natural Science Foundation of China under Grants 61370039, and the Beijing Natural Science Foundation under Grant L172053.